Having just one job/career identity on LinkedIn is easy to convey but when someone has more than one job, more than one career LinkedIn isn’t really set up to accommodate. However, the platform can be strategically manipulated to work for the dual position dilemma. Does the secondary business/job belong on LinkedIn at all? Are people simply not going to be looking? For example, if one is a waitress at a small diner in a very small town one the evenings/weekend one can assume the owner may not go to LinkedIn to fill a position. Is it ok with the main current employer to know about a second business (side interest)? If they are ok with it then all is well. Where does the primary source of income come from? Is it the full-time position? Then be sure to show this one clearly. Be warned to not have a second LinkedIn profile as it is against LinkedIn policy and in violation. Some people have a second profile by accident as they have forgotten login information or simply made a second profile and had forgotten they already have one created. How does someone with two professions cover both professions on their LinkedIn profile? Create a LinkedIn background image/banner that shows the professional expertise in both fields. For example, if someone is IT professional by day and a writer and musician by night/weekend then create a customized banner image that shows a professional view (maybe an abstract) and then a pen, notepad or the like. The banner doesn’t have to convey via text as an image can give an idea of the professional in a sense. Use the headline of a LinkedIn profile creatively. Only 120 characters to work with so creative is key. The default should be the persons’ job title (where the main source of income comes from). Then add a few keywords of the second position. It does take some thinking of how to best come up with the keywords that mesh the full-time position as well as the evening/weekend work, but it can be done. Great piece of digital real estate. Utilize the summary of the profile with the first three lines being the clearest area. Referring to ‘where does the primary source of income come from’? for the sake of maintaining respect for the ‘current position,’ it would be best this area highlight the full-time position. Moving onto the remainder of the summary section. When someone has two areas of expertise the summary can be sectioned off with spaces in between paragraphs. ★ Compelling track record with 17+ years of experience pioneering corporate platform technologies while working alongside cross-functional, multi-dimensional teams. Liaison between the IT support team and the business units as well as the key leader to project managers and coordinators. Holds an MBA from Marymount University and a Six Sigma Lean certified. Leads initiatives including Optima Upgrades, Application Management and Support, Quality Assurance (SQA), Data Control, and Software and Application Management. ★ An innovative and creative thought leader who has brought visionary zeal to 30 years of live performance including orchestral, rock/blues/rhythm and blues bands, and community orchestras. Voice Over for All types of Media Projects, Commercials, Tag Lines etc. Add both positions under experiences. Although the person may have another full-time position to list prior to the current one – use the 2nd experience box to show the side-position. The position locations can be rearranged on the platform. Make sure you add skills related to both jobs. Then, add the top three. The first three will show before having to click on ‘see more.’ The top three can be just the ‘skills’ for the greatest source of income position or one keyword/skill of the side (evenings/weekend) position. This is a great area to showcase, increase visibility and show expertise outside the main position. Using the same example (IT professional by day and writer/musician by evenings/weekend). There you have it! A few ways to blend two professions into one LinkedIn profile. There are certainly other ways to mesh two professions into one LinkedIn profile but this is one way that has worked for my clients. 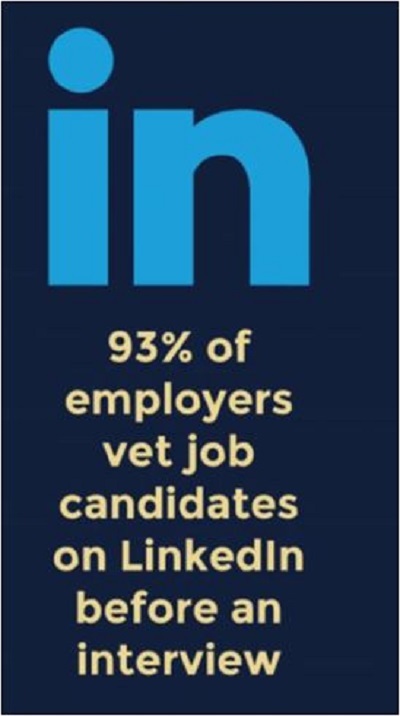 ← Wondering if your LinkedIn profile is as complete as it should be?